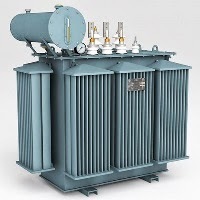 The amount of metal in Transformer oil can be used as an index of the condition of different components of a transformer. Faults which involve high energy cause deterioration of not only the insulation but also the windings and other components. Therefore, it is not unusual to see particules of metals such as copper, zinc, tin, silver, lead, etc. The quantity of these metals can serve as an indication of specific components. The levels are calculated using various types of spectroscopy in the laboratory. The transformer windings are made of copper or aluminium while the core is made of iron. Metals such as lead, zinc, and silver can be found in components such as bushings, tank walls, etc. There are no specific limits for the levels. It would be better to monitor the levels periodically and to investigate any sharp increase in the level of metals.